Robert Betts Laughlin (born November 1, 1950) is an American theoretical physicist who, with Horst L. Störmer and Daniel C. Tsui, was awarded the 1998 Nobel Prize in physics for his explanation of the fractional quantum Hall effect. Laughlin was born in Visalia, California. He earned a bachelor's degree from UC Berkeley in 1972, and his Ph.D. in physics in 1979 at Massachusetts Institute of Technology, Cambridge, Massachusetts, USA. 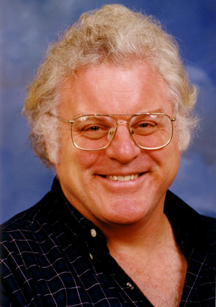 He had been a professor of physics at Stanford University from 1989 to 2004. Now he is the President of KAIST in Daejeon, South Korea. Lauglin published a book entitled A Different Universe: Reinventing Physics from the Bottom Down in 2005, based in large part on discussions with Steve Lew. The book argues for emergence as a replacement for reductionism, in addition to general commentary on hot-topic issues. In the search for a "theory of everything," scientists scrutinize ever-smaller components of the universe. String theory postulates units so minuscule that researchers won't have the technology to detect them for decades. Stanford physics professor Laughlin, awarded the 1998 Nobel Prize for Physics, argues that smaller is not necessarily better. He proposes turning our attention instead to emerging properties of large agglomerations of matter. For instance, chaos theory has been all the rage of late with its speculations about the "butterfly effect," but understanding how individual streams of air combine to form a tornado is almost impossible. It's easier and more efficient, says Laughlin, to study the tornado. Laws and theories follow from collective behavior, not the other way around, and if we try to analyze things too closely, we risk not understanding how they work on a macro level. In many cases, the whole exhibits properties that can't be explained by the behavior of its parts. As Laughlin points out, we use computers and internal combustion engines every day, but scientists don't totally understand why all of their parts work the way they do. Many interesting and challenging observations make this book worthwhile reading, but Laughlin doesn't bring his own parts together to form a coherent whole. Yet many science buffs and young scientists will find this a worthwhile challenge to business as usual in physics.